As the COO of the London Technology Club, I was lucky enough to host Luke Nosek in London for a special lunch with our club members. Here are learnings from some amazing conversation. Luke is nothing short of remarkable. 3) It can be an advantage to sometimes come into a new industry as it allows you to see things more clearly. You might question something that someone that has worked in it for a long time will have glossed over or just done it 'as that's how it’s always been done’. Often the companies are started by founders that haven’t worked in that sector before. 4) He co-founded PayPal with Peter Thiel, Elon Musk, Ken Howery and Max Levchin in 1998. In 2005 with Thiel and Howery he started Founders Fund. 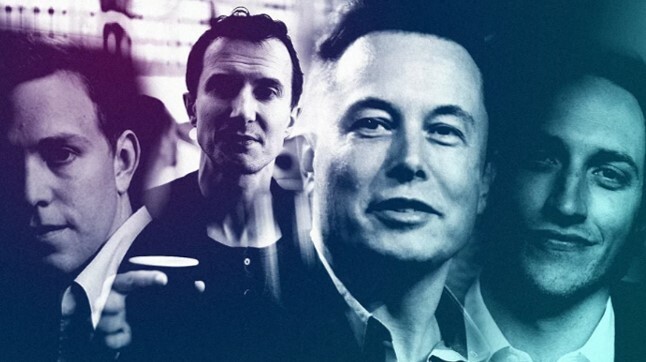 They are all known affectionately as the PayPal Mafia, all have gone on to new heights elsewhere. It took four years from start to exit of PayPal. Watch this space for a good book coming out about it. 7) Luke is looking for certain characteristics in founders: global ambitions, a purpose beyond making money, driven by something inside that believes only they can do it, independent thinkers that don’t care what others think. They are doing it their way. Motivated to reshape an industry, an unstoppable drive that is outside of themselves. Often strange. They don’t want to fit in, Mark Zuckerberg was introverted and super focused. 8) DeepMind - Luke was a board director at DeepMind prior to the company's acquisition by Google (for a reported $500m+). It is one of the UKs' most successful startups in recent years - with a number of AI breakthroughs. DeepMind develops neuroscience-inspired general-purpose learning algorithms. One of the original Founders, Demis Hassabis still remains as CEO. 9) SpaceX raised a series H round to value it at $21.2 billion. The valuation was 75 per cent increase over the company's value from its last funding round ($1bn investment by Google and Fidelity in January 2015 that valued SpaceX at $12 billion). SpaceX then raised another round of capital at the end of 2018/ early 2019 (from Scottish investment firm Baillie Gifford- already an investor in Tesla). 10) Luke was part of the first venture capital investor to back SpaceX (with a $20m investment in 2008), more recently he has invested $100's of millions into it with Gigafund. Gigafund is lean, agile and clear on its purpose. 11) It appears the first prize for SpaceX is global communications a constellation of satellites into space that will bring high-speed internet services to areas that don't have it. The prize.... to control the global data pipe is mind-blowing in its potential... SpaceX division Starlink would launch 4,000 satellites into space (vs 1500 that are currently actively in orbit around the planet). This is a trillion-dollar opportunity to own the internet in the sky. 12) Second prize for SpaceX is global travel. Reducing the cost of flying to space can then be applied to airline travel. EG the technology and economies of scale could mean being able to build transport that can leave the Earth’s orbit then re-enter which means one day you could fly to Shanghai in 30 minutes for less than $5k. 13) Silicon Valley is becoming too expensive for startups and increasingly showing institutionalised thinking. People are going there thinking what can I do that will get funded not what can I start. Gigafund’s HQ is in Austin (see Wingman Thinks article about why Austin Rocks).